Anyone familiar with tarot instantly recognizes the logo of U.S. Games Systems as the Rider-Waite Fool card. 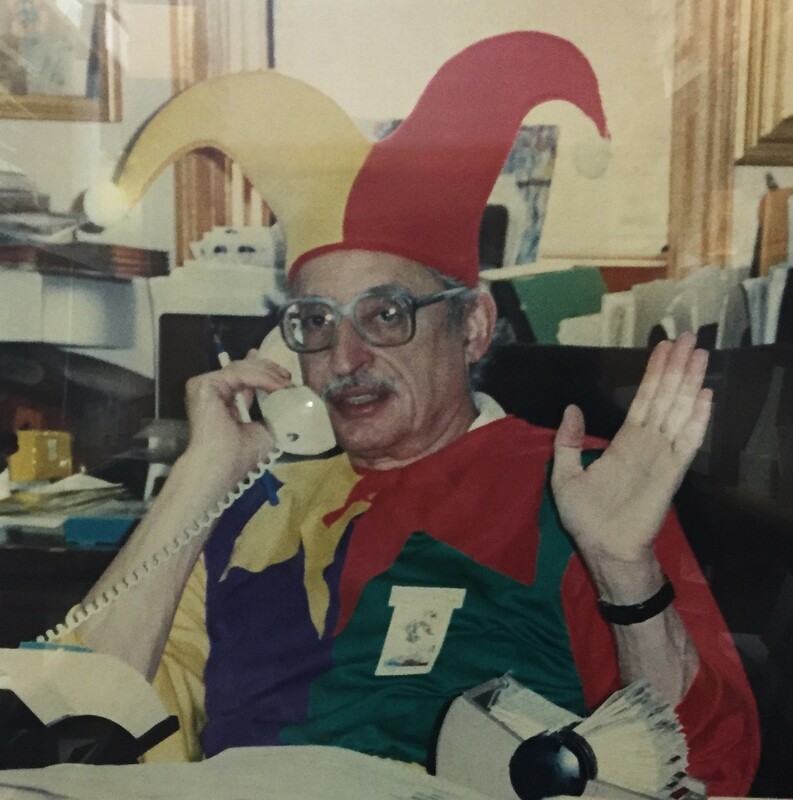 After Stuart Kaplan launched U.S. Games Systems in 1968 he adopted the now-iconic Fool not only because his birthday is on April Fool’s Day. But also because the Fool embodied his own sense of adventure, his ability to take a leap of faith in his bold undertaking of bringing tarot to America. 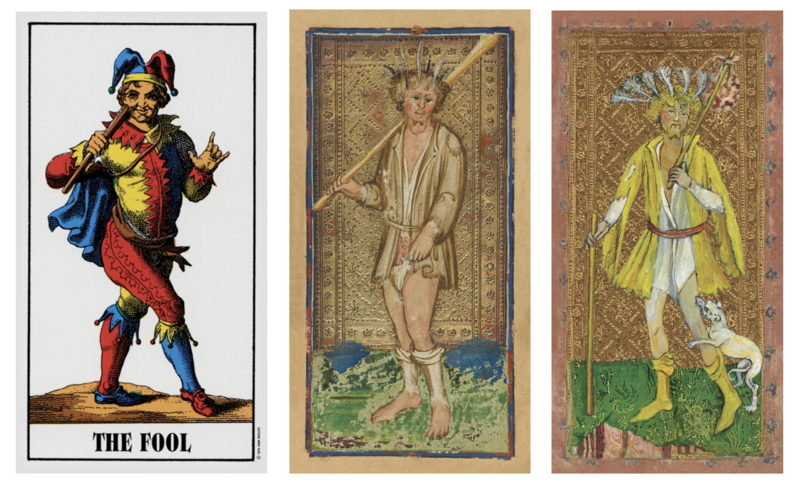 In the Swiss IJJ Tarot (the first tarot deck U.S. Games Systems sold) and most Marseilles tarot decks the Fool is humorously portrayed as the Jester with his colorful garb. 15th century tarocchi decks like Visconti Sforza and Cary-Yale show a more serious version of the fool, as a poor beggar. 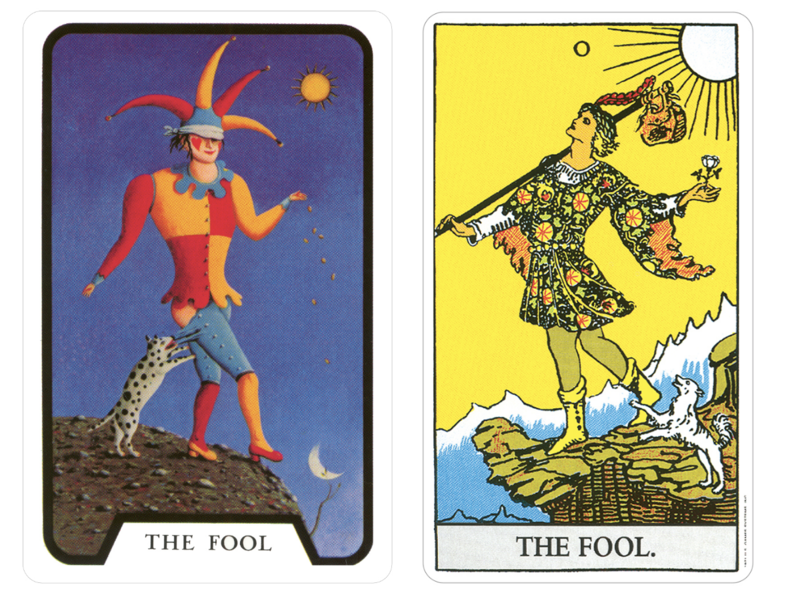 The archetype of the Fool as a person who travels light, with few material possessions, seems to be the common thread that weaves itself through tarot. It is this free spirited, innocent Fool with his canine companion that Pamela Colman Smith brilliantly portrayed in the Rider-Waite deck she illustrated in 1909. Her depiction of the Fool would become the standard point of reference for thousands of tarot decks that would follow in the decades to come. Other key symbolic elements in the Rider-Waite-Smith Fool card include the position of the Fool figure at the edge of the cliff. He is launching into the unknown completely unconcerned about risks and outcomes. Scarlet Ravenswood discusses the symbolism in the RWS Fool card extensively in her article “Uncovering the Secrets of the Fool”. 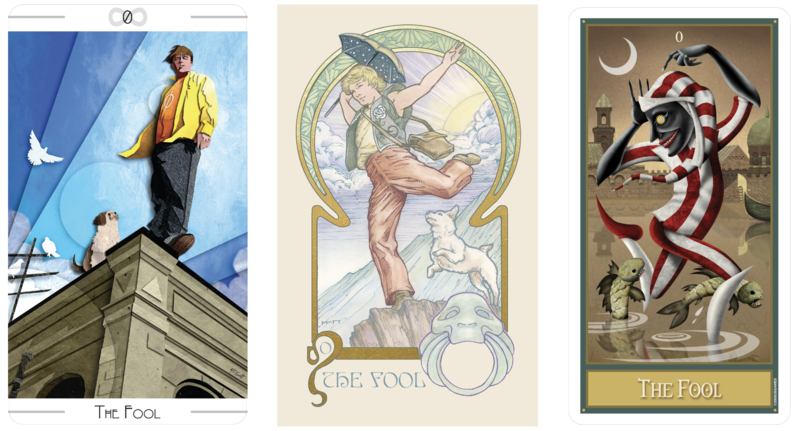 Many contemporary tarot decks portray the Fool in a similar fashion. Artists have gotten very creative with portraying the fearless figure ready to face all the challenges at the beginning of his journey.